If you are looking SEO Executive Resume Template to apply for better job prospects in the industry, a superb professional resume is a must. 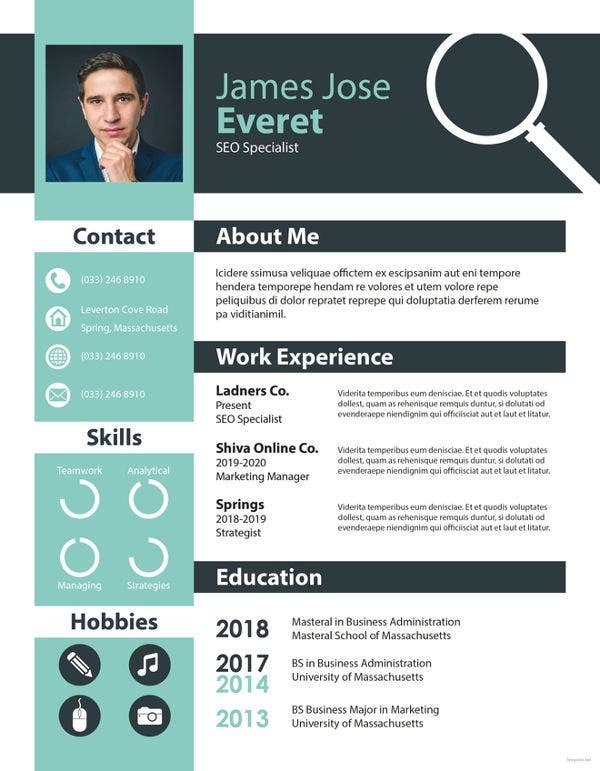 This template here does just the thing for you with its pro-designed resume template for SEO executives. 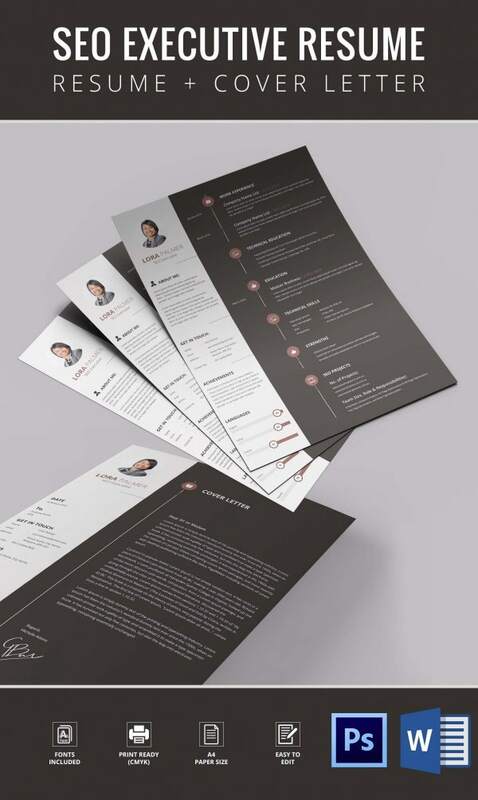 The resume mockup follows a column like structure where on the left you can include your photo, followed by your brief profile, contact details, achievements & languages known. 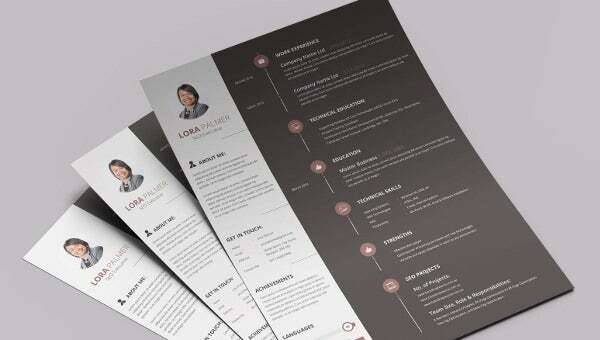 You may also see Professional IT Resume Templates. The right side is all elaborate, highlighting on your work experience, technical education, latest academic degree, technical skills, strengths and a brief on your main SEO projects. You will also get a template for a perfect cover letter here.